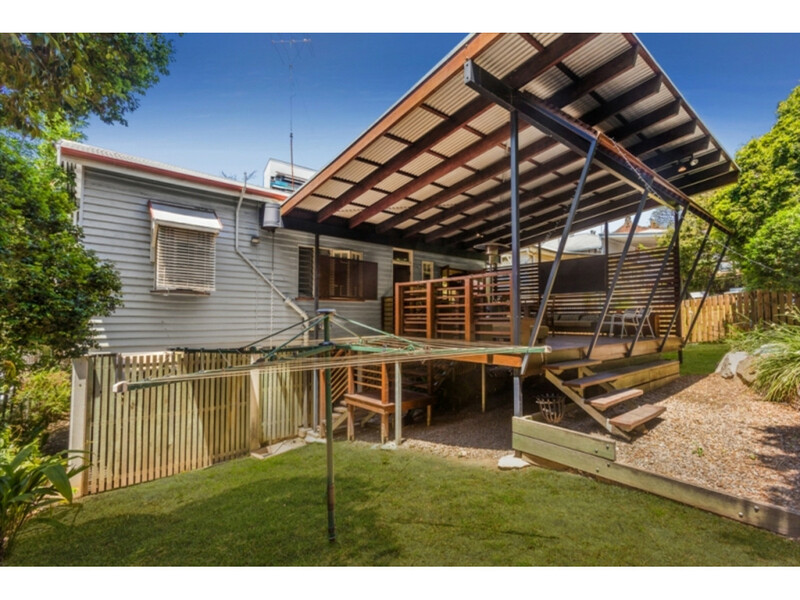 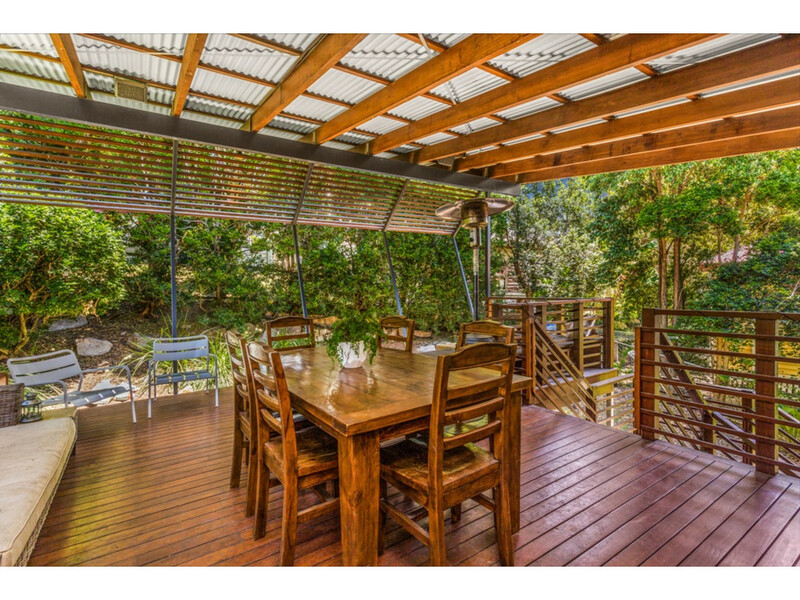 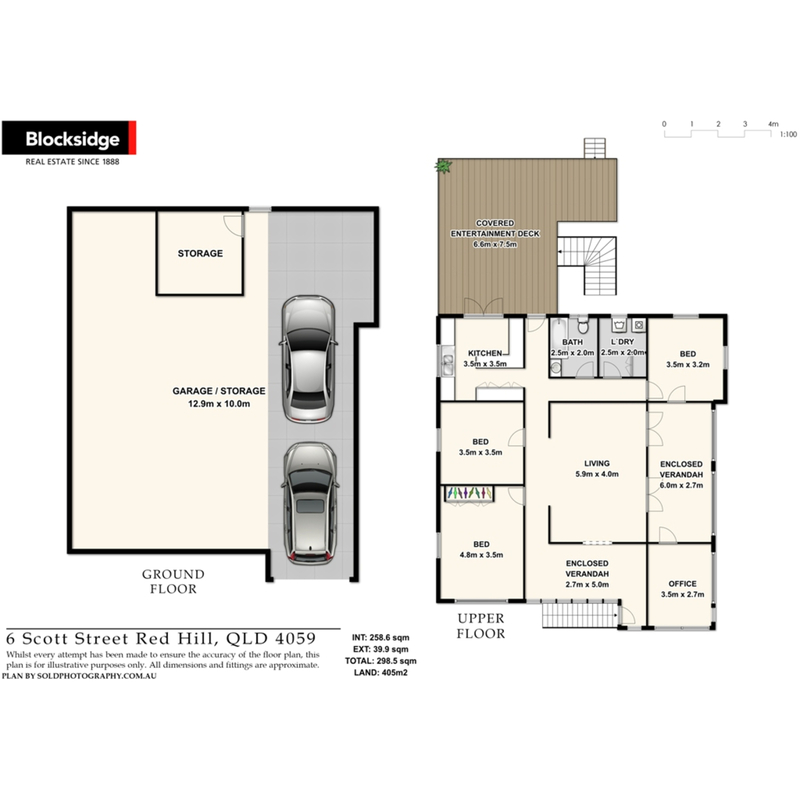 Nestled among other prestige properties in Red Hill, this home offers a distinctive contemporary twist on the traditional Queenslander and is generously proportioned with three bedrooms, an office/fourth bedroom, open plan living, and built-in verandahs. 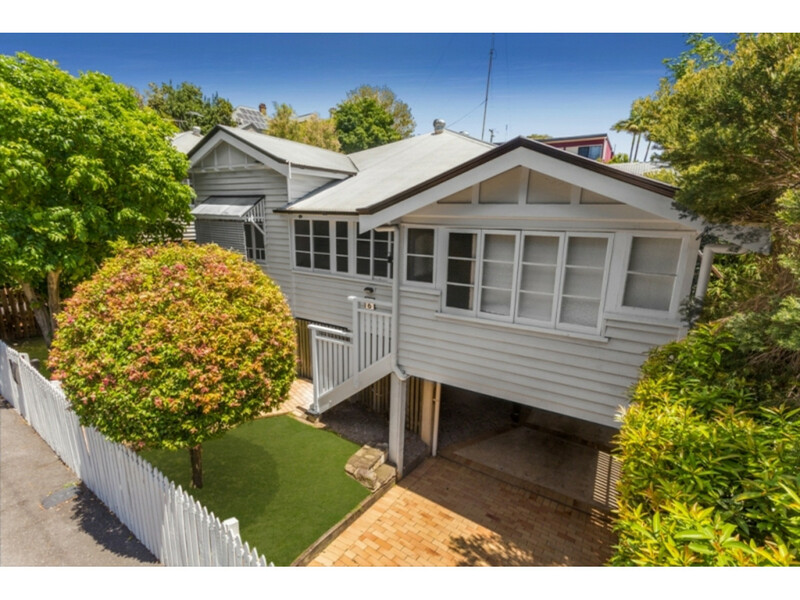 The property has tremendous street appeal and has been well maintained so all you need to do is move in. 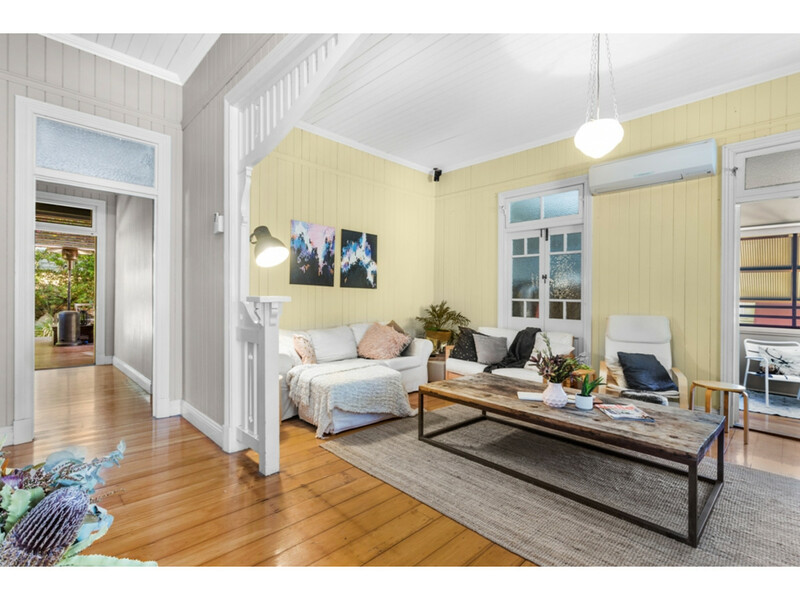 If you decide to value-add and create your own designer look you have an abundance of character features to work with including: decorative archways and ceilings, French doors, textured coloured glass windows, high ceilings, VJ’s, and polished timber floors. 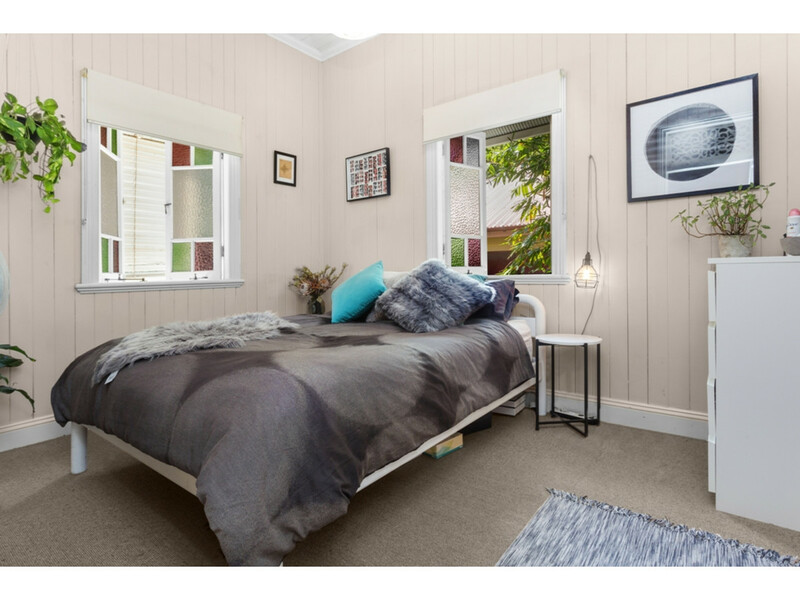 • Very generous main bedroom of 4.8 x 3.5 m (Note: for privacy the main bedroom and large second bedroom were not photographed). 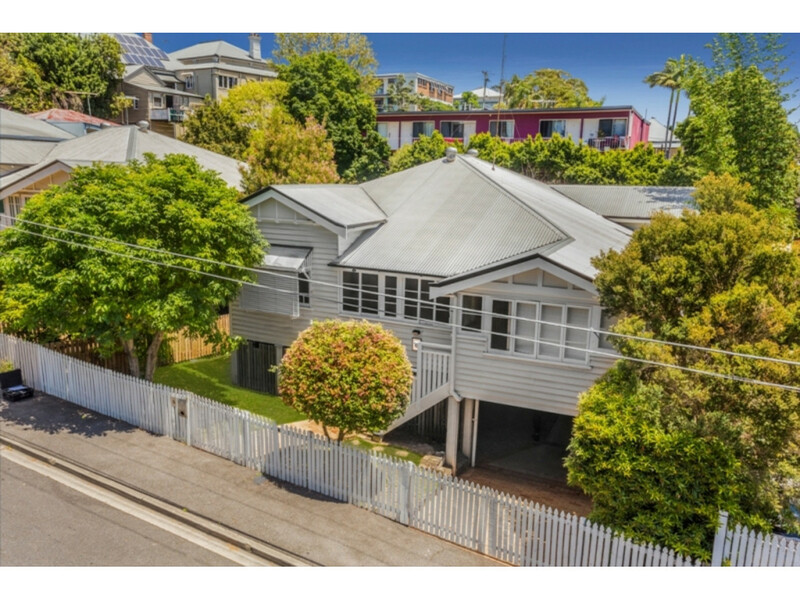 With plenty to offer in such a prime location, the potential to add value to this property means it is both a great lifestyle choice and an exceptional investment. 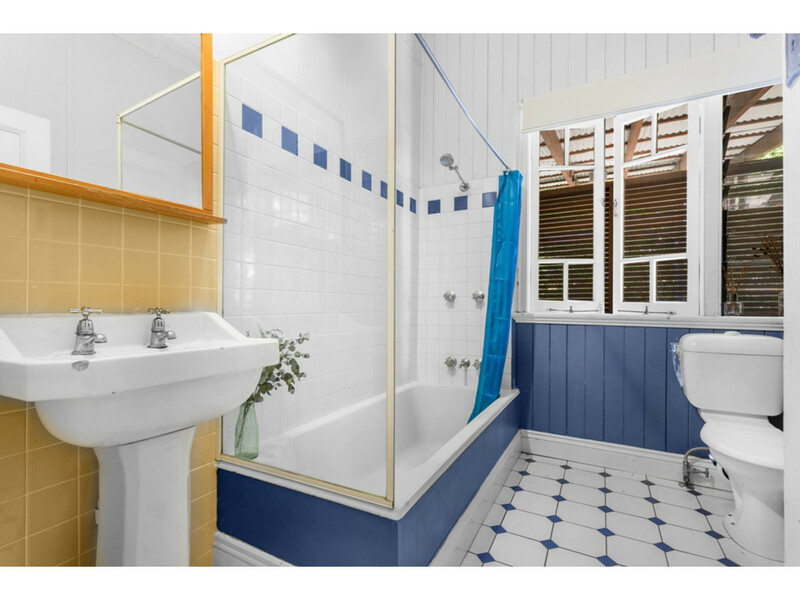 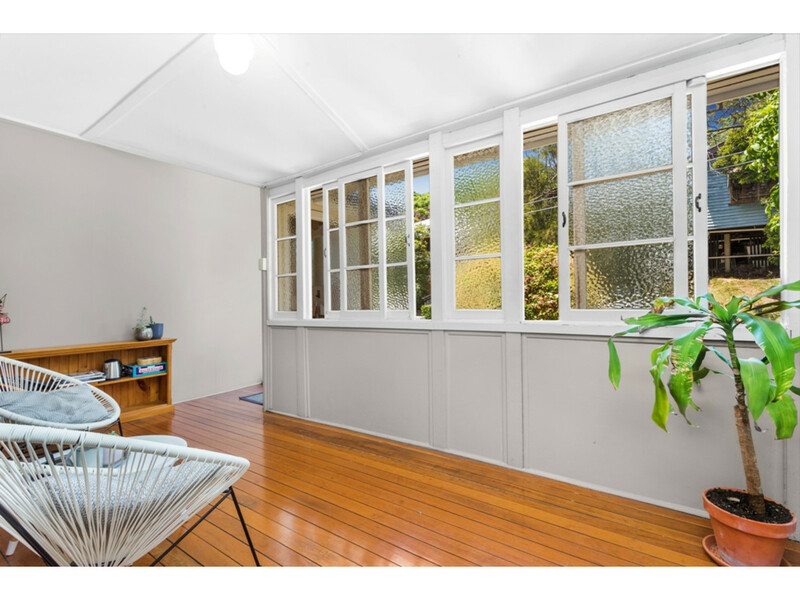 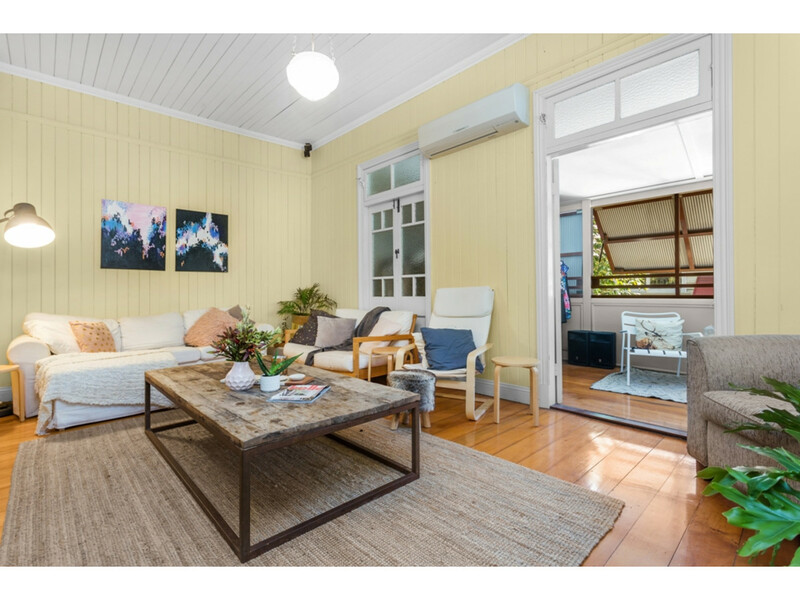 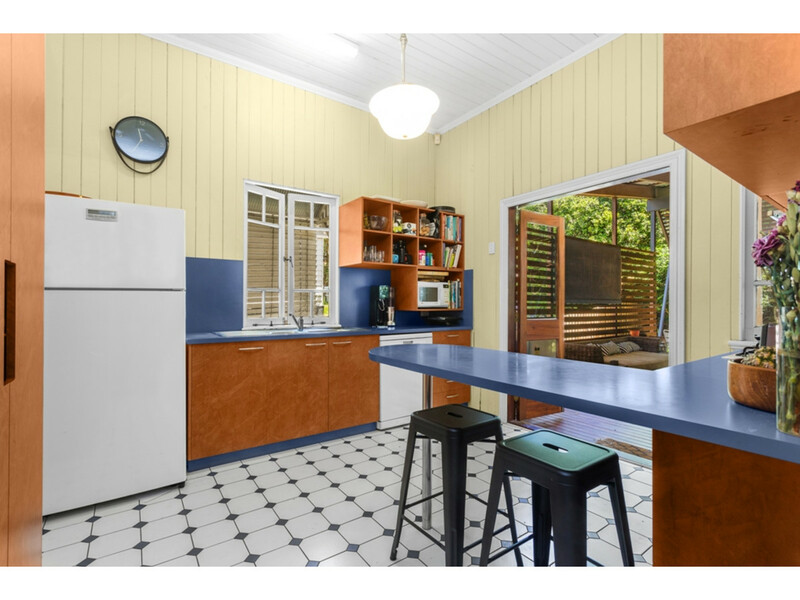 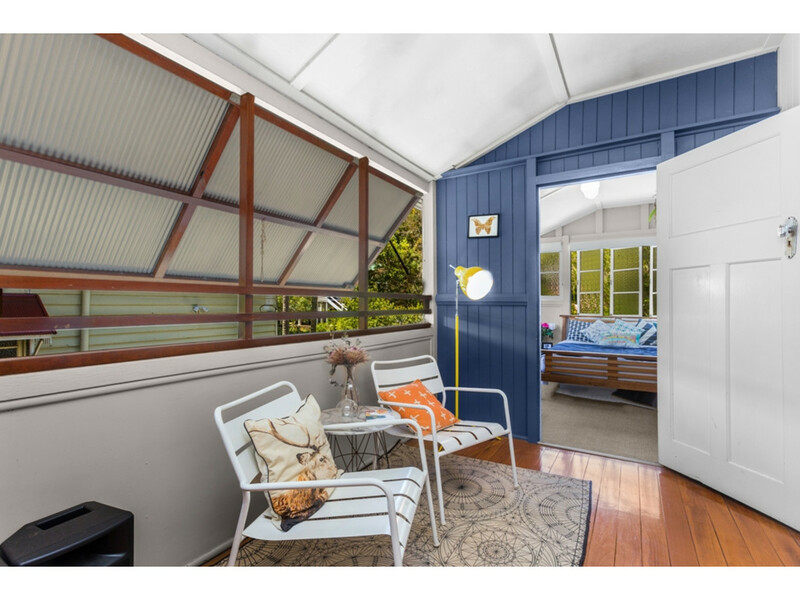 Whether you’re looking to secure a substantial home in a handy inner-city location or want to make an astute investment that capitalises on growing demand, this gorgeous Queenslander should be at the top of your list!